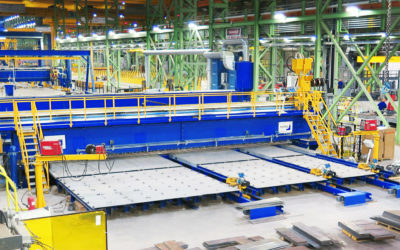 Automated & robotized welding solutions for block, webs and bulkheads. 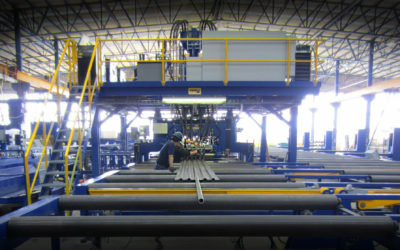 Pemamek designs and develops efficient automated robot welding solutions block, webs and bulkheads. 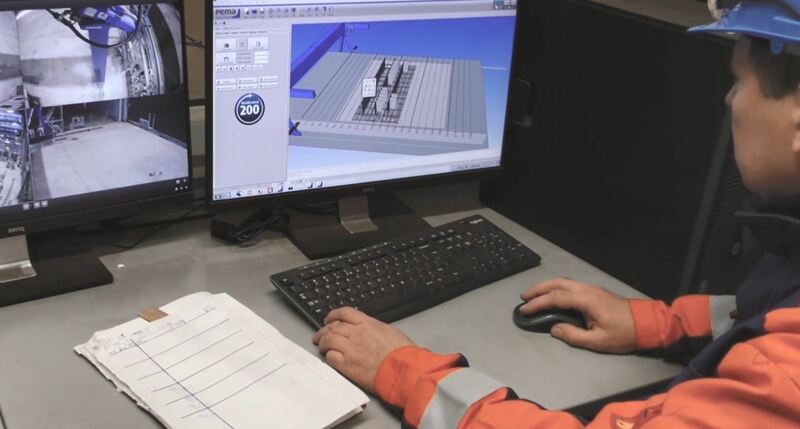 Together with integrated PEMA handling solutions, Pemamek provides you quality, safety and faster throughput times to your shipbuilding production. 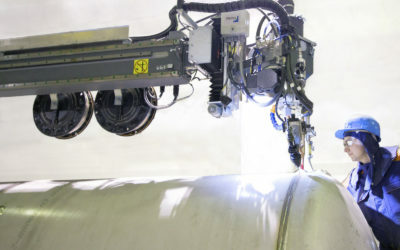 With the vertical welding system the operator is able to weld four vertical up welds simultaneously from level zero up to 3500 mm without the need for employee breaks or temporary scaffolding. The same can be done with the PEMA Vision Robot System. The best solution is a combination of vertical welding systems and a Vision Robot, where you can achieve a very high productivity, for example in open double bottom work, by using VWS for vertical welds and the Vision Robot for horizontal welds. It is always a possible to increase the vision gantry up to eight robots, for example. 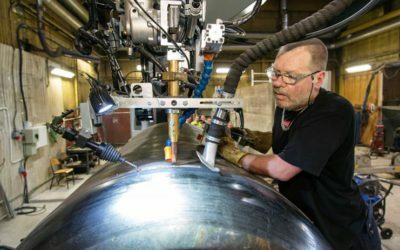 By increasing welding torches for one portal, the time it takes to get a return on your investment will be lowered dramatically. The agreed large-scale automation solutions are described as the most advanced in the entire world.